Please call 07817076165 to make an appointment. 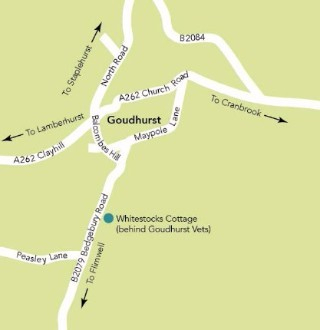 Where are we located in Goudhurst just behind the Goudhurst Vet practice on Bedgebury road, see Map. For details about the Goudhurst Clinic see the Goudhurst Clinic page or call 07817076165 to make an appointment.